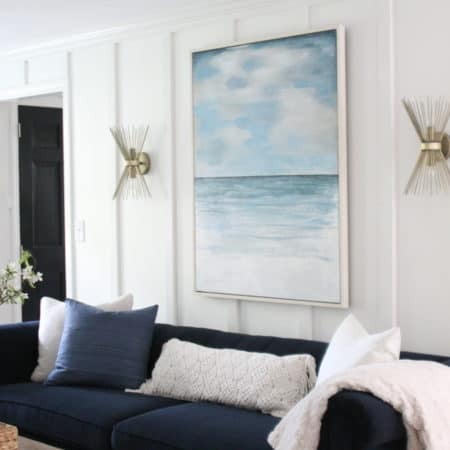 This post is not so much about WHAT I used for DIY curtain rods, it’s more about thinking outside the box – and about rethinking what is important to spend your money on when it comes to your home. In our previous houses I have spent a small fortune on window treatments. When it came to our home, we used to abide by the “Let’s Do This Right” mentality. 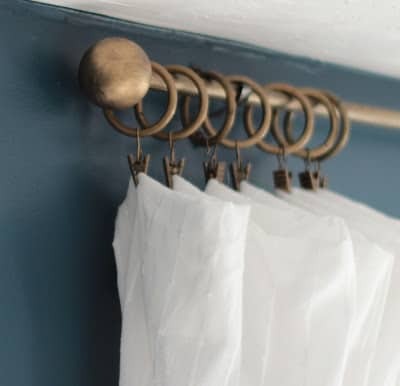 As in, if we bought “proper” curtain rods (and good quality furniture and so on), we were Mature Adults making smart purchases that would last. HA! Turns out Mature Adults do not go into debt furnishing a house, they actually do without or find a way to have nice things without spending money they don’t have. Huh. Novel idea. Fast forward to this house, where I subscribe more to the High-Low concept. Some items are worth investing in, but curtain rods? That’s a really un-fun way to spend my very small decorating dollars. Yes, the rings are a different color than the rod, but more importantly, all three flimsy rods bent within a month or two. So annoying! A while back I made a long rod for my living room out of pvc pipe and loooove it. I like that it has no seam like a regular extension rod, I like the overall look, and I love the price. 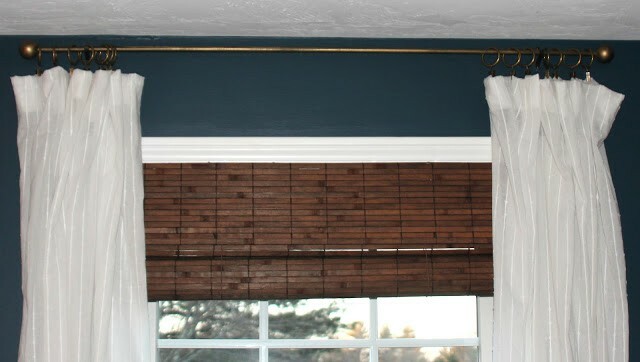 PVC makes great curtain rods, but the only issue is that it is plastic and tends to sag in the middle without a support bracket. This time I used wood dowel rods. 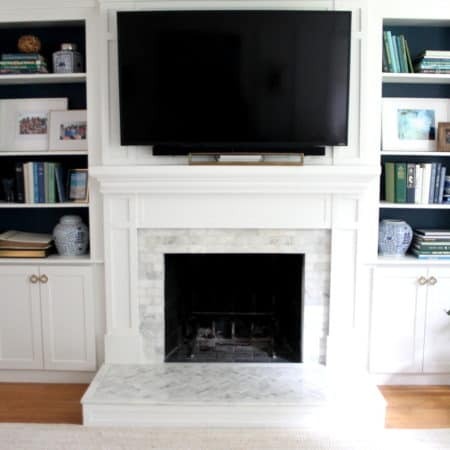 A 1/2″, 48″ long dowel rod (found in the wood trim section of Lowes or HD, or at craft stores) is less than $2 each. 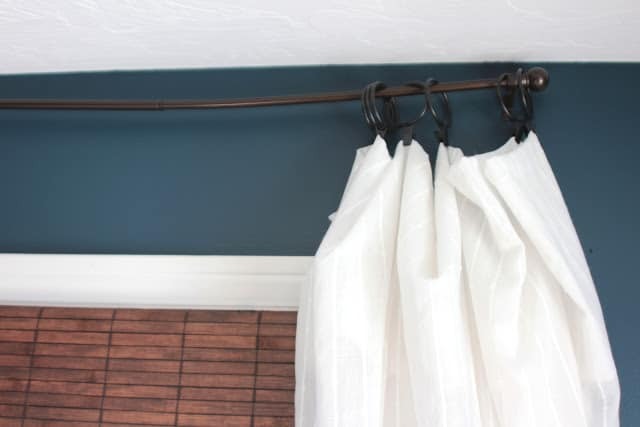 Spraypainted – BANG – instant curtain rod. 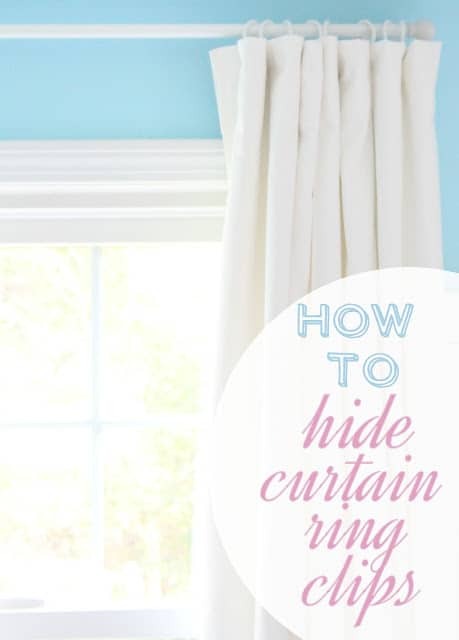 Now you just need to figure out what you want to use as a finial for the end, so your curtains don’t slide off. I walked around my house looking for something circular that I could make into a finial. 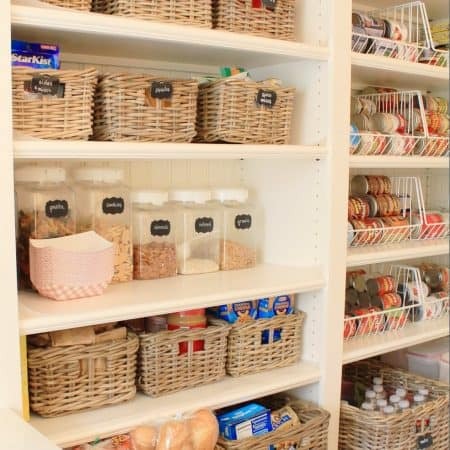 Pantry? Nothing. Craft supplies? Nothing. Playroom? Ahhhh, here we go. The ping pong balls, hundreds of thousands of which litter my basement at this very moment, are cheap and light-weight. 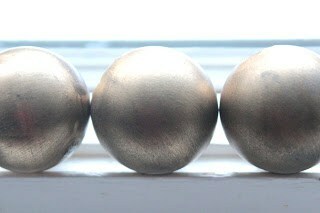 *caution*caution*caution* If you use ping pong balls as finials, be very careful with this next step. I would be so sad to know that something you read about on this blog and tried caused you harm. Please see my safety disclosure policy here. To drill a hole in the ball, I placed it on a non-slip surface (rubber jar lid gripper on a cutting board) and very carefully used an awl to poke a hole in it (the ball is slippery so I slowly pressed the awl into the plastic and then applied pressure). Then I used a very large drill bit (about the size of my dowel), inserted in the pilot hole, to very slowly drill a hole. 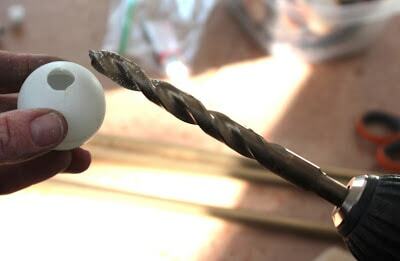 Don’t go fast or the drill bit will slip and potentially have a run-in with your hand. I hung clip rings on the dowel rod, placed the rod on the curtain rod brackets, and then used Gorilla Glue, run along the edge of the hole in the ball, to attach the balls to the dowel, holding each one in place for a few moments until adhered. The rings on the rod permanently, but the curtains are easy to unclip and take down to wash if need be. 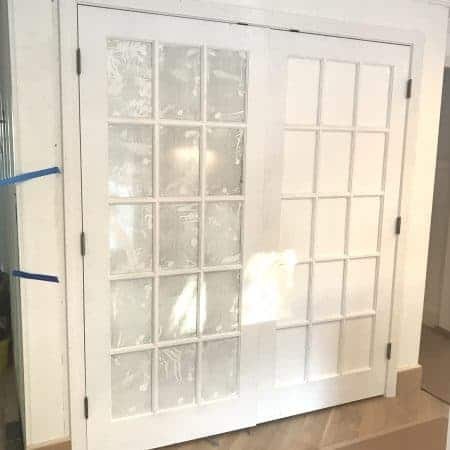 TOTAL unfinished rod per window: $3.05! Check out these related posts…..
LOVE the ingenuity!!! the gold is awesome- they look fabulous!!! You are so smart ~ I hate spending money on stuff like that! 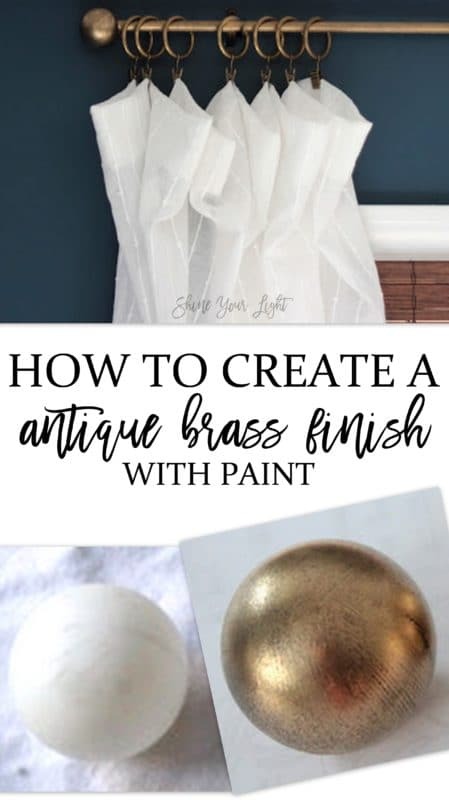 Love that antique brass against those gorgeous walls, cant wait for your tips tomorrow, it looks exactly like aged brass! Way to go! I could not agree with you more, mature adults think before they buy….on everything. Oh do I wish I could have some of the money back on stupid purchases. It is completely possible to get a chic look like this one with thinking creatively. Love it. Fantastic idea! The ping pong balls and rode look so classy and I love that you were able to make it for under $20. Ingenious, my lady! I never would have guessed!! The ping pong idea is brilliant! I never would have guessed that's what it was, and as always, I'm impressed with your ingenuity and creativity! It's funny how much I'm loving the gold/brass look these days, especially when it's paired with such a classic navy. 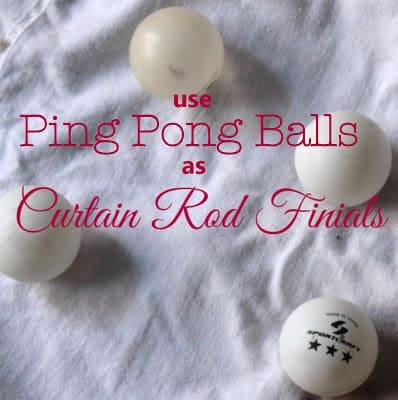 I'm going to have to try the PVC pipe thing next time I'm in the market for curtain rods! I never in a million years would have guessed that those were dowels and ping pong balls! You are a very clever lady. Amazing! That is wonderful – what a great idea!! OMG. You are a GENIUS!! I never would've guessed that those weren't SUPER expensive fancy curtain rods. Pinning the heck out of this! Hey Lisa! Love your curtains 🙂 Nicely done! Your idea is great. Love your curtains. Those are wonderful. Pretty and oh so thrifty! Lisa, this is such a good idea! And I'm so with you on the high/low concept of decorating, and definitely not going into debt for it. This is such a creative solution, and it looks even better than the real thing! I love this clever idea!!!! Just found your site and love it! Am your newest follower!! You are way too smart with the ping pong balls! They look great! They look great! How did you attach the rod to the wall though? Been reading your posts about bamboo blinds today. The blinds I bought do not have a valance (so sad) and do have that ugly triangle thingy at the top. Thanks for your tip about not using the wrap around bracket that comes with the shades. Like your idea MUCH better! Not on to this post. 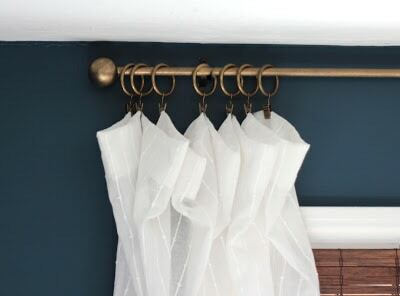 😀 I love your curtain rod idea. LOVE, LOVE, LOVE the ping pong balls! Love this! I can't believe the cost of finials $38 a pair is considered cheap! I may try using little glass drawer pulls… maybe smaller scale but will add a nice touch for only $4 a pair! How brilliant are you?! Love this idea am thinking I have a safer way for some of your readers to do this. Maybe? I'm wondering if you could use a woodworking clamp, ya know? The c-clamp that you have to screw to hold the wood? I'm thinking that would hold the ball in one place on the table (without crushing it) and allow you to drill it out without your hands in the line of fire. I could be wrong, it might now work out. Just thought it might be a little safer if it does. Thanks again for sharing! Great idea – I was on my way to Lowes when I read this post on my phone. I already had my dowel and I wanted finials that I could remove so I bought some unstained pine cabinet knobs. Stained the dowel and the knobs in light oak color and they look beautiful. Like you, I wanted a non-seamed rod. If this works out as well as I hope, I will try to find a much longer dowel for the curtain on my sliding glass doors and do the same. What about brackets? There's no brackets in your breakdown. The Ping pong balls are genius! Compared with electrical conduit, how have they held up in terms of sag? The wooden dowels have not sagged at all, however they are fairly short and have light curtains on them. After 10 months they are still hanging straight, no problems! I just discovered your blog and love your style! I was wondering if you could share where your living room curtains are from? Thanks! How did I JUST find this now? This project is so amazing! 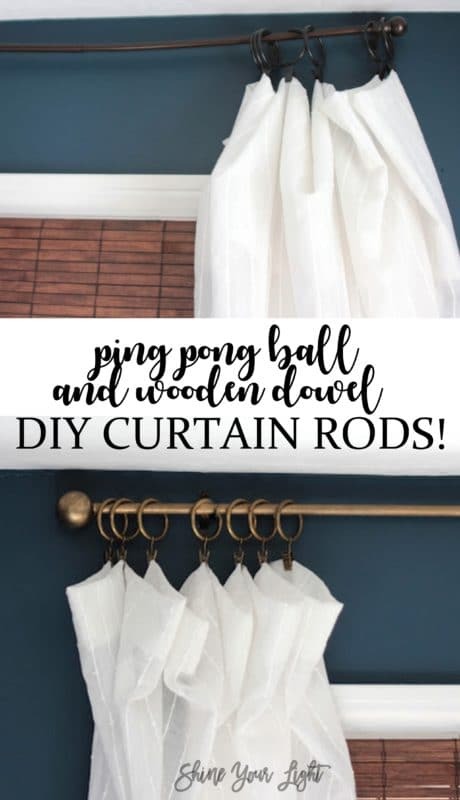 We're redoing a few rooms in my house and I cannot wait to make some curtain rods! Thank you for sharing this awesome project! I always made curtains with the flat sheets so it matches the comforters. NOW i'm going to make the rod. So brilliant. I'm brand new to hanging curtains, and I have a question. Are you not intending to be able to close the curtains all the way? Because it seems like the curtain rod bracket would get in the way. 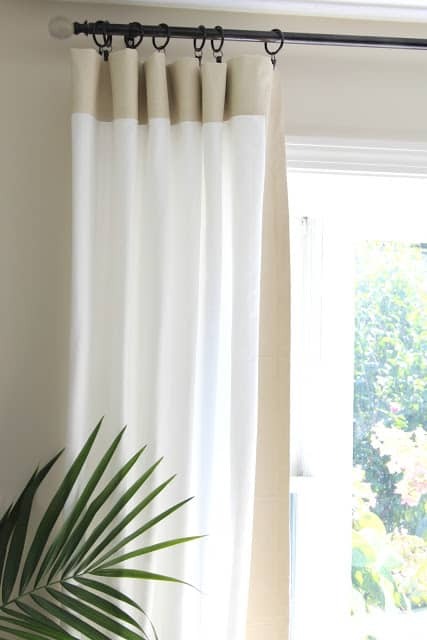 Should I just not do curtain rod brackets if I want full movement of my curtains from the edges to the middle of my window?